The tour takes you to the Argentinean capital crossing the Rio de la Plata to Uruguay, one of the smallest countries in South America. There you will see huge cattle ranches, colonial cities and more than 600 km of the coast. Afterwards we will go to Paraguay, the country in the heart of South America, with its historical monuments, its virgin nature and modern art of engineering. After breakfast, transfer in a private vehicle (no guide) to the bus terminal in Colonia to board the bus to Montevideo. On arrival to Montevideo, private transfer with German-speaking guide to the hotel. Lunch at the Port Market (no drinks included) and private walking tour of the old city with German speaking guide, visiting the local museums. Transfer back to the hotel. Overnight at Axsur Hotel. B, L.
After breakfast, transfer to bus terminal (no guide) to take Regular Bus to Castillos, meet your driver at Castillos Bus terminal who will drive you to Estancia Guardia del Monte. Enjoy a Full day at the estancia enjoying the romantic atmosphere, long walks along the lagoon, the unique Ombú forest (UNESCO World Heritage Site) and horseback rides along the fields. Full Board and accommodation included (drinks not included). Overnight at Estancia Guardia del Monte. B, L, D.
After breakfast, private transfer to the town of Valizas from where, you will start a private full day trekking tour crossing the incredible and enormous sand dunes that will take you to the Natural Reserve of Cabo Polonio. This is a place of contrasts: the national park is surrounded by huge dunes, lovely beaches and a small village where fishermen live next to the reserve of sea lions, which constitutes one of the largest populations of sea lions in the world. You will enjoy lunch in one of the local restaurants where fresh delicious fish is served. After lunch, you will take the SUV trucks that provide transfer to the entrance of the village. Transfer on a private vehicle back to Estancia Guardia del Monte. Dinner and overnight at Guardia Del Monte. B, L, D.
After breakfast transfer in a private vehicle (no guide) to the Bus Terminal of Punta del Este to take the Bus to Montevideo Airport in order to board the plane to Asunción. On arrival to Asunción, the capital of Paraguay, your English speaking guide will be awaiting you to transfer you to your hotel. In the afternoon you will enjoy a typical Paraguayan dinner. Accommodation at Hotel Bristol. B, D.
addition to this, you will have the chance to try one dish of the typical foods, the empanadas, in one of the most famous restaurants “Lido-Bar” in Asunción. Accommodation at Hotel Bristol. B, L.
After breakfast, you will leave Asunción, following the Route Transchaco. After a few kilometers you will cross the bridge Remanso, offering us a unique view of Asunción from the distance. The bridge Remanso is one of two bridges which connect the Eastern Region with the Western Region. The complete Western Region is most often referred to by its other name: Chaco Paraguayo. While driving through Chaco, you will be accompanied by a palm tree cultivar called the Karanday, typical for this region. This part of the Chaco is called the humid Chaco and offers its visitors an enormous diversity of animals. At the artificial lakes (Tajamar) you easily have the opportunity to observe many different species of birds. At Km 62 we will reach the Estancia Tendota where we will spend the day. You will have time to watch the farm workers (Peones) at their daily work. 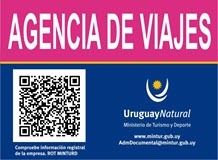 You will spend most of the time with an expert for Paraguayan nature. In the late afternoon you will drive back to Asunción. Accommodation at Hotel Bristol. B, L.
You will be picked up at your hotel in the morning and leave Asunción following the Route 1 going south. After a short drive you will arrive in Yaguarón and visit the oldest church of Paraguay there. It was built by the order of the Franciscans and shows the virtuosity of the Guaraní Indians very well. From Yaguarón it is not very far to get to Villa Florida until you arrive at the Estancia San Francisco. The Estancia San Francisco is a typical Paraguayan cattle ranch with its big drove. Here you will make a short trip by boat to discover the river Tebicuary. In the afternoon you can do horse riding or watch the Peones (farm hand) at their daily work. You also can participate in visiting the village of San Miguel which is known for its famous church, a relict of the time of the Jesuits. Its wool products, which are offered everywhere in the village, are also very popular. In the evening the kitchen will provide for you the best Paraguayan gastronomy. Accommodation at Estancia San Francisco. B, L, D.
Your journey moves on by passing San Juan until we arrive in San Ignacio an old Jesuit reduction. All villages which contain the word San in their names have been reductions from this era. In San Ignacio you will visit the museum with the greatest selection of artifacts from the Jesuit time. You will finish the tour for today exploring the ruins of Trinidad and Jesus, world heritage site since 1993. In the Jesuit time more than 4000 people lived in these reductions under the command of the padres. In Trinidad you will see the dimension of this open air museum. In the evening you will reach your hotel where you stay for the night. Accommodation at Hotel Papillon. B. After breakfast you will drive 250 km north to Ciudad del Este, connected with the bridge of friendship to the Brazilian territory. Beforehand, you are going to visit one of the biggest Yerba Mate factories in Paraguay. The Yerba Mate is the national drink of the Paraguayan. In wintertime they drink it hot and in summer they enjoy it cold, then it is called Tereré. When you arrive in Ciudad del Este you will visit Itaipú, the most powerful hydro plant in the world. It is also called one of the wonders of the world in modern times. Here they produce more energy than 12 nuclear plants do. But before this, you will see the biggest waterfalls of Paraguay the “Salto Monday”. Monday is Guaraní and means “thief of the water”. After the Itaipú visit, we will stop at the TATI YUPI PARK and finally cross the bridge to get to our hotel on the Brazilian side. Accommodation at Hotel Foz Plaza. B. Private full day tour to the “The big waters“- as the water falls of Iguaçu are called . They are the world’s biggest waterfalls. The falls of Iguazu consist of approximately 250 small falls distributed on a length of 4 km in the middle of the tropical rainforest. The waterfalls go about 90 m straight down in to the depth. Along different trails, you will have the opportunity to explore the national park of the Argentinean Side and get an insight of this unique and unbelievable nature performance. Accommodation at Hotel Foz Plaza. tour. In the afternoon, you will be driven to the airport. B. Located in the heart of the Recoleta district, the 4-star Hotel de Las Américas offers spacious, air-conditioned rooms just a few meters from the popular 9 de Julio and Sante Fe avenues. As a guest at the Hotel de Las Américas, you will be able to walk to the Obelisk, San Martín Square, Metropolitan Cathedral and to several other attractions of Buenos Aires. The hotel provides a sumptuous breakfast buffet and other dining options along the day in the restaurant and snack bar. In addition, room service is available 24 hours a day. The Plaza Mayor Hotel is just 50 minutes away from Buenos Aires and 178 km away from Montevideo. It is located only a half block from the main “Plaza Mayor” Square in the middle of “The Old City” of Colonia Del Sacramento, declared “World Heritage” by the UNESCO. Colonia del Sacramento is a very charming city founded in 1680 by Manuel Lobo; it is like a jewel of the colonial epoch, which preserves the enchantment of old times. The city’s history can be easily noticed in the architecture of the houses, walls and stones, made in the Spanish and Portuguese styles. Nowadays, they have been restored and painted in bright colors. The charme of Colonia del Sacramento derives from its paved streets, the yellow lanterns hanging in the doors, the flowerpots in the windows and a lonely lighthouse looking over the river, which surrounds the old city. This also attracts filmmakers, international artists and tourists as well as couples in love. Axsur design hotel is located only 100 meters from Montevideo’s historic, financial, and commercial Centre locally known as “Ciudad Vieja” (Old City); an emblematic district, with architectural and patrimonial attractions, where the roots and identity of the country emerge in every street. Neighbor to the Solis Theatre, Matriz Square, the “Rambla” coastline and the local Carnival, this hotel combines all the features that an ideal place should have to enjoy a great stay, whether for business or pleasure. This design hotel features self-catering accommodation with panoramic sea views, free Wi-Fi and buffet breakfast. The rooms in AXSUR Design Hotel feature a private bathroom, a minibar, and LCD cable TV. Room service is provided. AXSUR Design Hotel has a relax room with a hydromassage tub, which has an extra cost, and a gourmet cafe bar, as well as 2 meeting rooms. Massage sessions can be arranged and room service is available with extra cost. At Axsur Hotel, every detail has been considered in order to create an attractive and intimate environment which focuses on comfort and will make you feel at home. Located on the borders of the Castillos Lagoon, Guardia Del Monte has an outstanding landscaping beauty with important ecosystems such as the lagoon and the swamps with birds or the indigenous mount, where an important group of Ombú trees can be found. It has been declared as a natural animal reserve since 1996 and it is part of the “Humedales Del Este”, declared Biosphere Natural Reserve by the UNESCO. In the old main house of Guardia Del Monte, you will find rural comforts, big halls, cozy fireplaces and many corners where to feel in touch with nature. The warmth of Alicia, always with a friendly smile, will make you feel “at home”. Located amidst the very center point of Punta del Este in the heart of the Peninsula, one block from the lighthouse and 2 blocks from the seaport, the newly opened hotel Atlántico offers a perfect blend of contemporary design, comfort and friendly service. The hotel features 43 newly renovated rooms and suites, most of them with splendid views to the Mansa and Brava beaches. On site facilities include a distinctive garden, heated swimming pool and pool bar (the latter only during summer months). Experience the real flavor of Punta Del Este year round in the very heart of Punta. Set in the city center of Asuncion, Paraguay, just 100 meters from the financial district, this cheery and whimsical hotel affords easy access to all the city has to offer. The hotel is surrounded by numerous shops, bars and restaurants, and guests may wish to visit the Palacio de los Lopez, National Pantheon of Heroes, or the National Museum of Art, all within a 10-minute walk.The hotel provides spacious and bright guest rooms, each uniquely decorated with striking colours and featuring en suite bathroom, air conditioning and cable television. Guests will appreciate the convenience of the 24-hour front desk and helpful tour desk with car rental services. Wi-Fi is available throughout the hotel, and a delightful daily breakfast is also offered for guest enjoyment. The combination of a central location and excellent services makes this hotel the perfect place for both business and leisure travellers in this vibrant city. Estancia San Francisco is a typical Paraguayan cattle ranch. You can participate in the gauchos daily work chores, horse ride and enjoy the nature surrounding you. In the evening the kitchen will prepare you the best what the paraguayan kitchen has to offer. Featuring a big garden with a swimming pool and a shaded area, Hotel Restaurant Papillon offers rooms with free Wi-Fi. It is located amidst the tropical forest, 15 km from the Jesuitic Town of Santisima Trinidad. Decorated with tiled floors and wooden furniture, rooms at Papillon Hotel Restaurant feature large windows overlooking the garden. All of them have minibars and workdesks. Guests can unwind on the sun loungers by the pool or on the hammocks available in the garden. The games room features ping-pong tables and chess boards. Foz Plaza is a modern hotel with free parking in the centre of Foz do Iguaçu. The outdoor swimming pool is framed by charming flowered gardens. Wi-Fi is available for a fee. Rooms at Foz Plaza Hotel are pleasant, with warm colours and ample windows allowing plenty of natural light. All are equipped with air conditioning, cable TV and a minibar. A rich breakfast buffet with pastries, croissants, and sliced exotic fruits is served daily. Guests can enjoy regional cuisine and exotic cocktails at the restaurant. Hotel Foz Plaza is situated 12 km from Foz do Iguaçu Airport, and 25 km from Cataratas Del Iguazu Airport. It features a convenient 24-hour reception desk too.